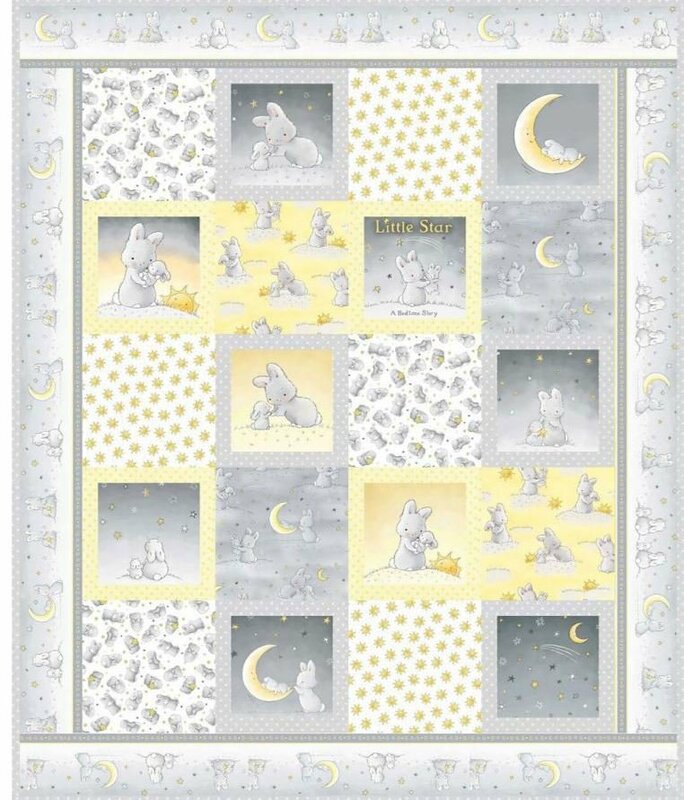 "Cobbles" Quilt Kit features the adorable "Little Star" fabrics by Bunnies By The Bay for Timeless Treasures. Pattern designed by Jennifer Fulton. Quilt kit includes 100% cotton fabrics to make the quilt top, plus binding and instructions. Quilt finishes to 42 1/2" x 51". Backing not included. You will need 3 yards to back this quilt.